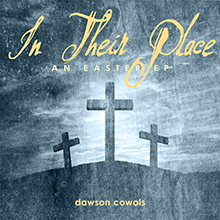 Here is the official lyric video for my Easter song “In Their Place” off my 2008 Coffee Shop Songs CD. This is my 3rd official lyric video that I have produced myself so I hope you enjoy it! This song tells the Easter story from the perspective of Jesus as he prays in the garden and then proceeds to his death on the cross and resurrection with the empty tomb. This song was produced by my good friend Nick Garrett-Powell in our first project together and he also plays some nylon string guitar and sings amazing harmonies as well! 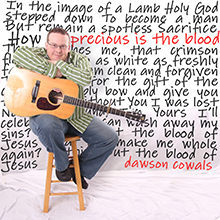 This song is available on Amazon and iTunes on my Coffee Shop Songs CD. Can this cup be taken? Why must I be forsaken? But why must you still hide your face? But I said, “Fear not, it is I!